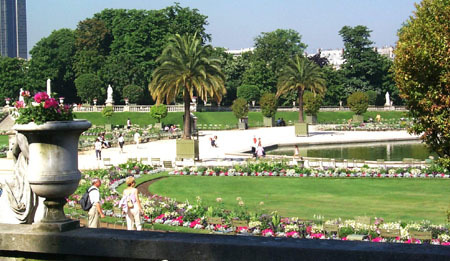 The Luxembourg garden is a beautiful 25 hectares green oasis on Paris fashionable left bank. It contains various statues and sculptures. The garden has many attractions for public amenities ( fountains, sculptures, ponds, flowerbeds, tennis courts, pony rides, a marionette theatre, playgrounds, food kiosks and open-air cafes ).